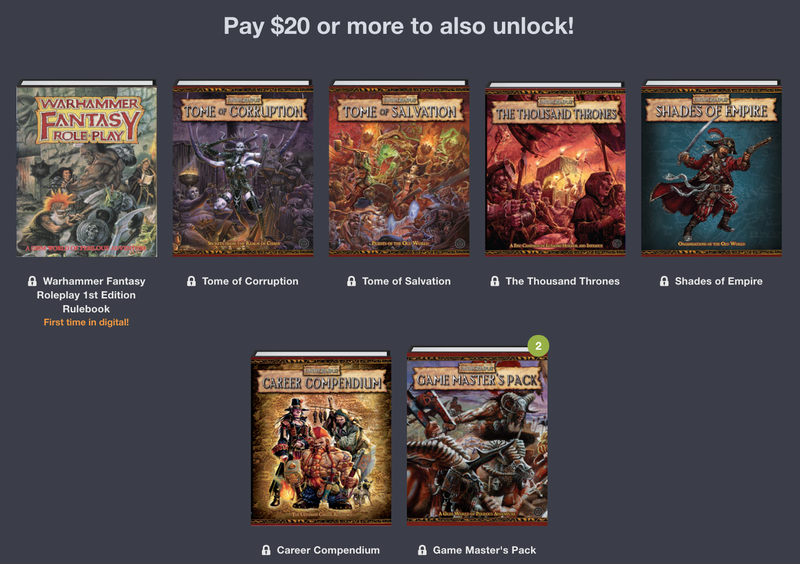 Tenkar's Tavern: Humble Bundle - Warhammer FRP 2e - Even if Just for a Buck - You NEED This! Humble Bundle - Warhammer FRP 2e - Even if Just for a Buck - You NEED This! My God! One of my favorite RPGs of all time, available for a measly buck. And if you put in 20, they include a PDF of WFRP 1e! 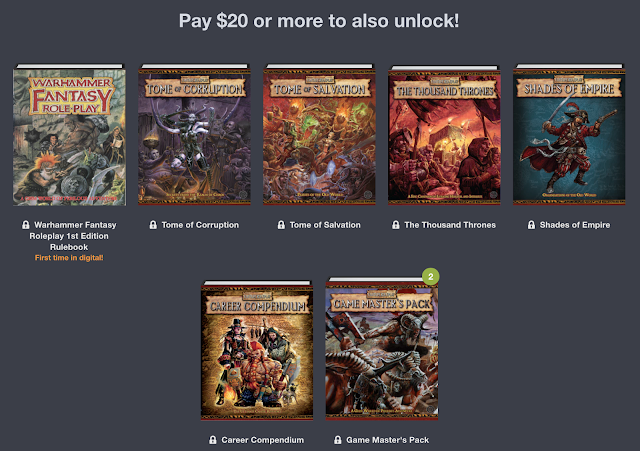 Humble Bundle for the win! I think this bundle is the first one to show up that I cannot pass up on. I've tried to talk myself out of it for a few minutes and all arguments fail, especially since I can direct some additional money towards some charity that is assisting with hurricane relief. 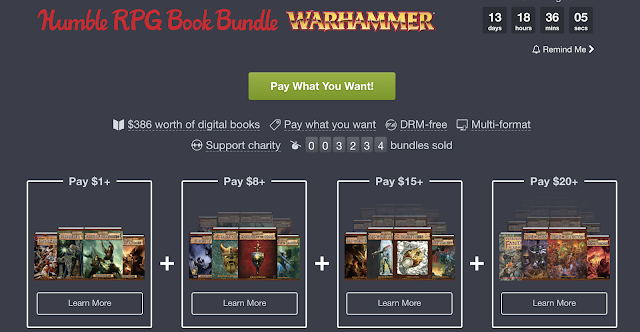 It is a great deal, and a nice resource to drop on any ZWEIHÄNDER players out there. Arg! I already got the deadtree versions but this is just too good. Thanks! 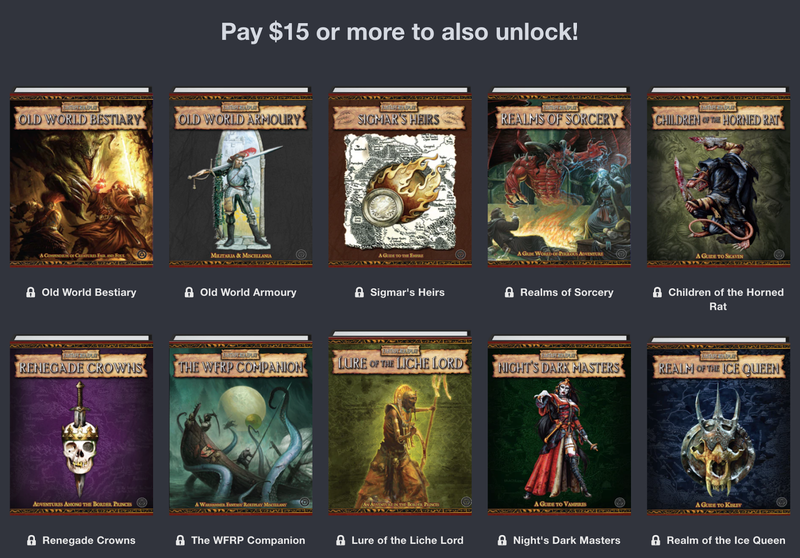 The WFRP 1e fully indexed PDF is worth the purchase alone!